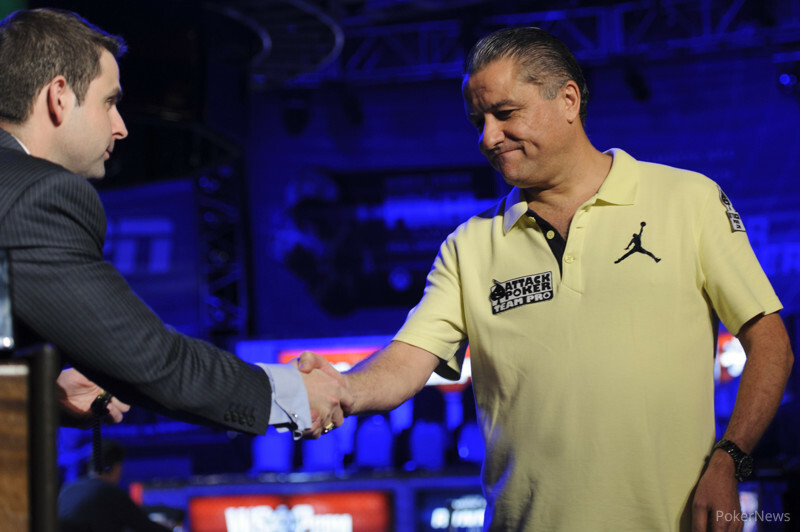 On this eve of the 2013 World Series of Poker Main Event, one of the most stacked final tables of all of this summer's preliminary events has come to a conclusion, with Eli Elezra topping a tough field, a talented final table, and coming back against a formidable heads-up opponent in Daniel Negreanu to claim his second WSOP bracelet in Event #59: $2,500 Limit 2-7 Triple Draw Lowball. 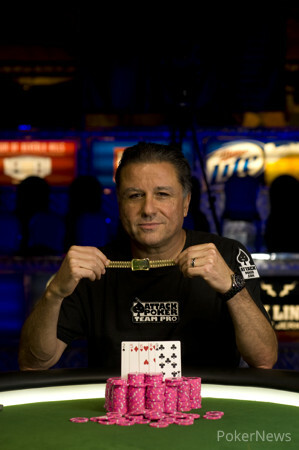 It has been six years since Elezra won his first bracelet. He also beat out another of poker's best heads-up back in 2007 when he outlasted Scotty Nguyen for the title in the $3,000 Seven-Card Stud Hi-Low Split-8 or Better event. Having now become a multiple braclet winner, Elezra already has his sights on gathering more. "I'm gonna try to get about five more… maybe catch Hellmuth, you know?" said Elezra while cracking his ever-present grin as he thanked the audience for their support of his win. Today's final day saw just 10 players return from the starting field of 282, with six bracelet winners among them. 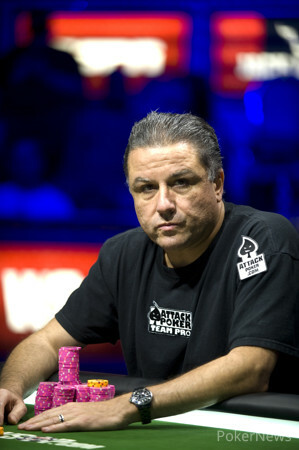 After a short-stacked Mike Watson fell in 10th place early, three-time bracelet winner Michael Mizrachi (ninth), Alexander Condon (eighth), and Eric Wasserson (seventh) followed during the afternoon, setting up a six-handed final table at which five of the players had already won WSOP gold. Three of those bracelet winners would fall first, as Scott Seiver (sixth), start-of-day-3 leader David "ODB" Baker (fifth), and David Chiu (fourth) all hit the rail prior to the dinner break. Negreanu had pushed into the lead by then, and after a short-stacked Brian Brubaker finally fell in third, it was five-time bracelet winner Negreanu versus Elezra with "Kid Poker" enjoying the advantage to start heads-up play. But the 41 hands between the pair mostly went Elezra's way as he soon evened the score, then pushed ahead thanks in part to a big hand in which he made a wheel on the third draw. Soon all the chips were on Elezra's side of the table. Negreanu congratulated his friend with a handshake and hug before rushing off to join Event 61: $10,000 Pot-Limit Omaha, and Elezra was soon delivering his thanks to the crowd. And with that we thank you for following our coverage of Event #59. Be sure to return to PokerNews tomorrow as the summer's excitement continues with Day 1a of the 2013 World Series of Poker Main Event! Daniel Negreanu raised it up, and Eli Elezra folded his big blind. On the next hand, Negreanu got a walk. Negreanu raised it up, and Elezra kicked his hand in. Elezra raised it up on the next hand, and Negreanu called. Negreanu drew three, and Elezra stood pat. Negreanu check called a bet from Elezra, and Negreanu drew two. Elezra bet dark again, and Negreanu folded this time around. Elezra got a walk on the next hand. Elezra raised it up, and Negreanu folded. Negreanu raised it up, Elezra reraised, and Negreanu moved all in. Elezra drew one and Negreanu drew two. Elezra stood pat, and Negreanu drew one. Elezra stood pat again, and Negreanu drew one more. Elezra had a made nine, and Negreanu was looking for a nine, five, or deuce. 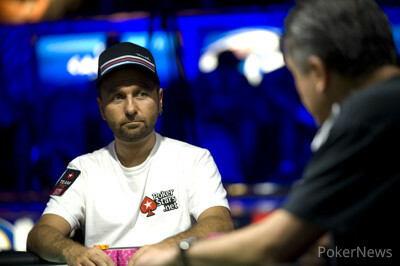 Elezra and Negreanu sweated it together, and Negreanu said "that's not good." Elezra then let out a big woot, as Negreanu showed a . Negreanu will earn just over $100,000 for his efforts, while Elezra claims his second WSOP gold bracelet. After Daniel Negreanu enjoyed another walk in the big blind, on the next hand he raised his button and Eli Elezra called. Both drew two on the first draw, Elezra bet, Negreanu raised, and Elezra called. They each then drew one card on the second draw and both checked afterwards. On the third draw they each discarded one again, and this time Elezra bet, Negreanu raised, Elezra three-bet, and after pausing a moment Negreanu called. Elezra quickly tabled his hand — . He'd made a wheel, and Negreanu could only shake his head and muck. Elezra won the next hand with a button raise, then got a walk, then won another with a button raise and suddenly Negreanu is down to less than 200,000. Eli Elezra raised it up, and Daniel Negreanu kicked his hand in. Negreanu raised it up on the button, and Elezra called from the big blind. Elezra drew three cards, while Negreanu drew just one. Elezra check raised Negreanu, and he then stood pat, while Negreanu drew one. Elezra bet out, Negreanu called, and Elezra patted again. Negreanu drew one, Elezra bet dark, and Negreanu tank folded. Negreanu got a walk in the next hand. Negreanu raised it up, Elezra called, then he drew two cards. Negreanu did the same, and both players checked. The same drawing action happened, and Elezra fired out this time. Negreanu folded, and Elezra took it down. Negreanu got a walk in the next hand, and Elezra got the same treatment on the following hand. The limits increased — to 30,000/60,000 — with Daniel Negreanu having slipped down below a half-million chips to start Level 26. The first two hands of the level saw the pair give each other big blind walks. 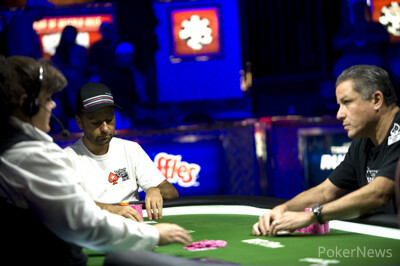 Then it was Negreanu raising from the button, Eli Elezra three-betting, and Negreanu calling. Elezra drew one and Negreanu two. Elezra then led with a bet, and when Negreanu raised, Elezra folded. Elezra gave Negreanu another walk in the next hand, then on the next hand check-called a Negreanu button raise. 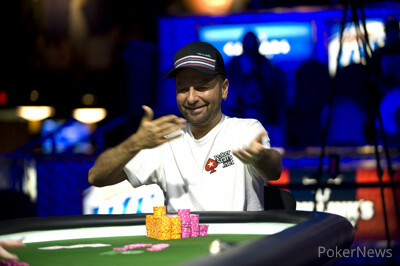 Elezra then took three, one, and stood pat, while Negreanu drew two, one and stood pat. Elezra check-called Negreanu's bet after the first draw, then led with bets after each of the next two and Negreanu called both times. Elezra tabled , but Negreanu had and won the pot. Daniel Negreanu raised it, and Eli Elezra folded his big blind. Elezra raised it up, and Negreanu called. Both players drew two cards, and Negreanu check called a bet. Negreanu drew two again, while Elezra stood pat. Negreanu checked, and Elezra fired out. Negreanu called, then drew one card. Elezra patted again, and both players checked. Elezra showed , which was good enough to win the hand. Negreanu raised it up, and Elezra called. Both players drew two, and Elezra fired out. Negreanu called, and Elezra stood pat. Negreanu drew two, and Elezra bet out. Negreanu called, Elezra patted, and Negreanu asked for "one good one," as he drew one. Elezra bet one more time, and Negreanu raised it up. Elezra called, and he showed . Negreanu folded, and Elezra took down another one. Elezra raised it up, and Negreanu three bet it. Elezra called, and Negreanu drew one. Elezra tossed two towards the dealer, and Negreanu bet out. Elezra called, and the same drawing action happened. Negreanu bet, Elezra called, and Negreanu stood bat. Elezra patted as well, and Negreanu checked. Elezra did the same, and he showed to win another hand. On Hand #189 — the 12th of heads-up play — Eli Elezra raised, Negreanu three-bet, and Negreanu called. Both drew one card, with Negreanu exclaiming "What?!" at Elezra only needing one card. They both checked down the next two rounds, drawing one card each time. Elezra then showed , and that was good enough to win the small pot and draw the match almost exactly even as each player had about 1.05 million. Each took turns winning the next two hands with button raises. Elezra then got a walk. The next hand saw Elezra raising, Negreanu calling, then Negreanu drawing three cards and Elezra two. Negreanu check-called an Elezra bet, then took three again while Elezra drew just one, and Negreanu check-called one more time. On the third draw both stood pat, Negreanu checked, Elezra bet, and Negreanu folded.